Charm, history and convenience. 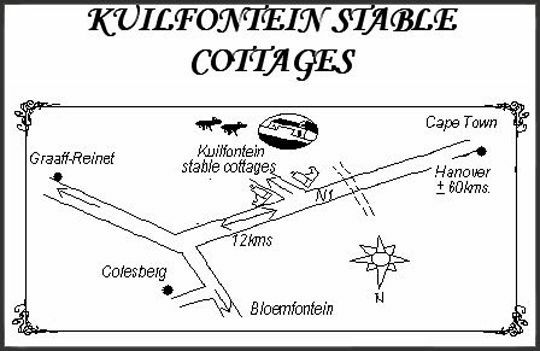 Kuilfontein Stable Cottages are perfectly situated as a stopover for travellers from Gauteng & Natal to the Cape, near the N1 and Colesberg. This historic racehorse stud and sheep farm has been in the family since 1876. 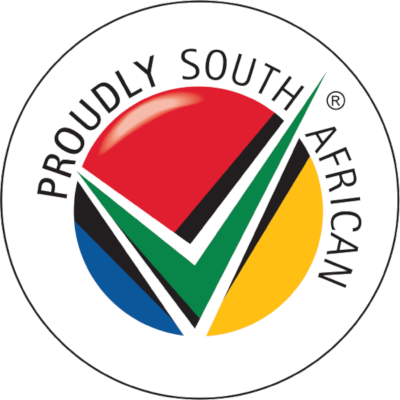 Leigh & Penny Southey and their staff are renowned hosts where guests become dear friends. Gourmet food is served on gleaming yellow wood tables in a cosy dining room. The resident chef uses farm fresh produce including their world-famous succulent Karoo lamb. Vegetarians are catered for with delicious dishes of couscous stuffed peppers and crisp vegetable pastas. Breakfasts include homemade breads, muffins jams and preserves with fresh fruit and farm butter and cream. Stroll on the vast estate with good birdwatching and plains game viewing. Swim in a fresh spring water pool or play a game of boule. AA/Semi finalist, Top 10 Getaway, Femina Places to Stay, Portfolio Collection, House & Leisure, Where to Stay. Children 6 and over welcome. Clean, neat comfortable and spacious. Very comfortable beds. Wonderful to have a big enough shower to turn around in! We enjoyed every moment of our stay. Lovely stop over! Uniquely different, extremely home like. Amazing view of the stars at night. Thank you for a lovely hospitable stay! My family thoroughly enjoyed themselves and the supper was superb! Judy and I enjoyed our stay at Kuilfontein. The hospitality, food and all the facilities were excellent.